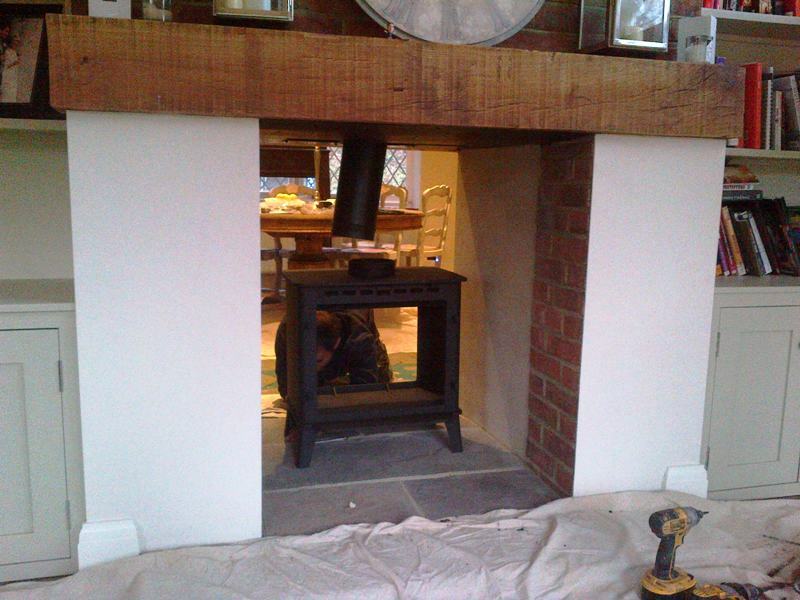 A lovely client living in Bramley, Surrey called us to install a new stove in her great house. The client had just built an extension and the purpose of the stove was to link the old and new parts of the house. 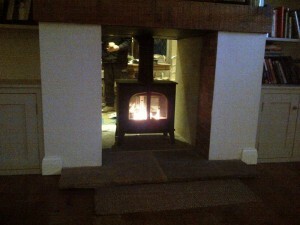 The client chose a Stockton 8 double sided stove from Stovax. We have installed a number of these stoves before for customers. 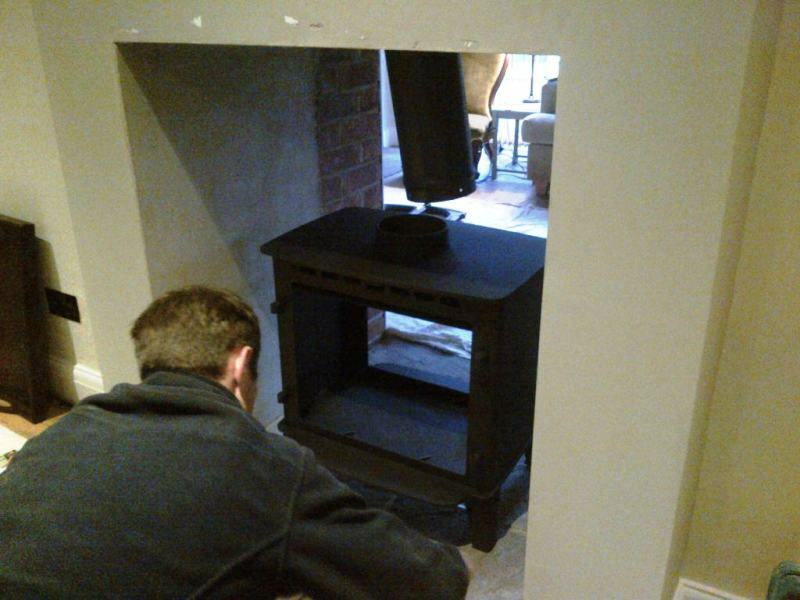 They are extremely reliable and well built stoves. They use one central chimney. The doors to both the back and the front of the stove are designed to open into adjacent rooms. So, compared to individual stoves in each room, you have less work refuelling and even more of a focal point to your home. The installation went well with no issues whatsoever and the client was delighted with the result. 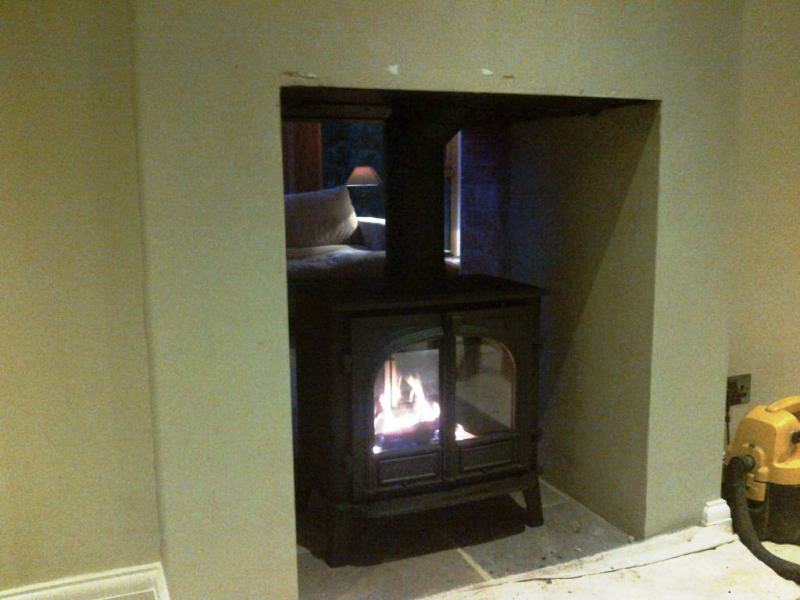 Take a look at another Stockton 8 double sided stove installed by The Billington Partnership.